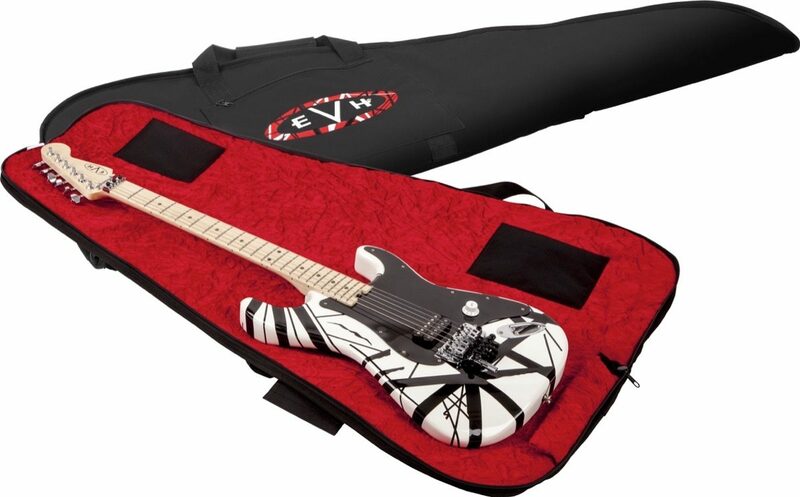 The EVH Gig Bag features durable and stylish design. A water resistant polyester, 600 denier exterior with 20 mm thick premium foam internal padding and a red plush interior to keep your instrument well protected. Features include one large external pocket and includes padded backpack style shoulder straps with a compartment to hide the straps in when they aren't used. Overall: I am a bit disappointed with the EVH gig bag. I thought it would have been a lot more padded & at least have straps in it to secure the guitar for when you open it. The embroidery is sharp but the bag's quality is poor & honestly not worth the cost. I'm going to keep it anyway but I will be purchasing a hard shell case for my EVH striped series guitar anyway.